"He almost took the life of another human being"
This undated photo, provided by the Oakland County Sheriff's Office in Michigan, shows Jeffery Zeigler. 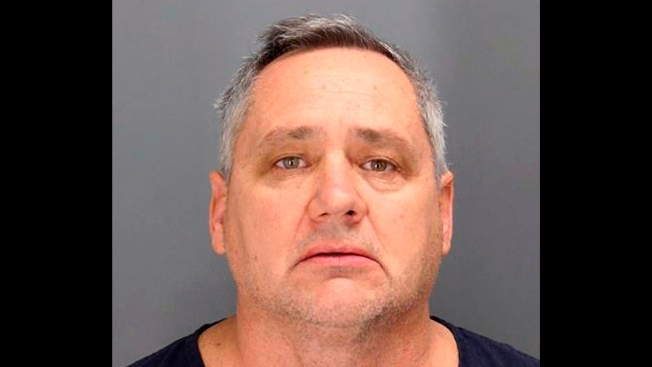 A white retired firefighter who burst out of his suburban Detroit house and shot at a black teenager who was asking for help to find his way to school was sentenced Tuesday to four to 10 years in prison. Jeffrey Zeigler said he has "full remorse and regret" over the incident last spring in Rochester Hills. The mother of 14-year-old Brennan Walker said race was the key factor. Her son wasn't physically injured. "I try to keep race out of it, but we all know that's what it was," Lisa Wright told a judge. Brennan said he missed a school bus on April 12 and knocked on Zeigler's door after getting lost. He ran after seeing a man inside the house grab a gun. A key piece of evidence: Video from a home security camera showing the boy running away and a shirtless Zeigler firing a shotgun. Smoke emerged from the barrel. A jury convicted him last month of assault and a gun crime. "He almost took the life of another human being," assistant prosecutor Kelly Collins said. "That will forever stay with Brennan — forever. His perception of strangers, his perception of other people, his perception of the world." Oakland County Judge Wendy Potts sentenced Zeigler, a retired Detroit firefighter, to four to 10 years in prison, which means he'll serve four years before he's eligible to be released on parole. "I wish I could change something," Zeigler, 53, told the judge. At trial, he said he woke up to his wife's screams and that she believed someone was trying to break into their home. Brennan didn't attend the final hearing. "We moved to Rochester Hills to live in a better place, a safe place," Wright said. "But when a safer place doesn't want you there, I don't know how to process that."